I had breakfast at Evergreen Hotel, toured the city Roseau, hiked to Trafalgar Falls, swam in hot springs, relaxed on Mero Beach, dined at Romance Cafe and enjoyed flyboarding with Nature Island Adventure Tours. That’s not my full week itinerary; that’s what I did today in Dominica. 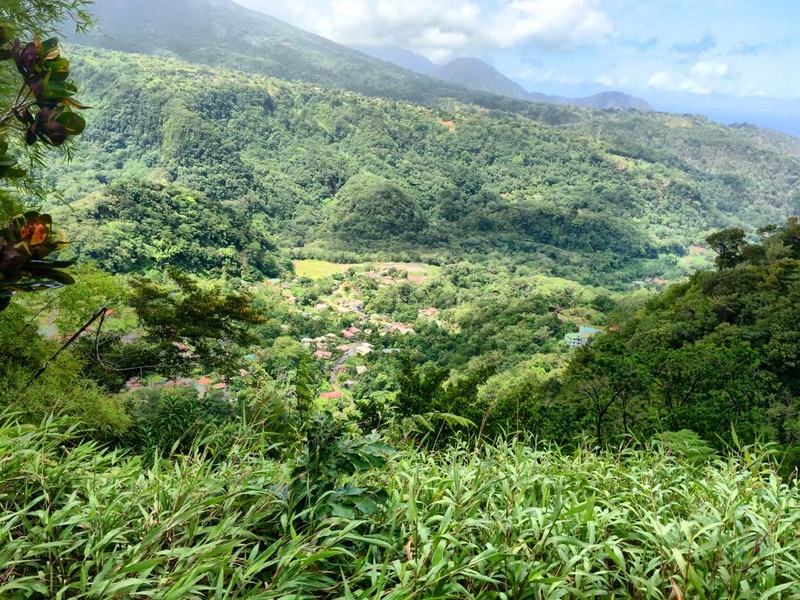 This morning when I woke up, I knew my day was going to be full of exciting, beautiful experiences because that’s Dominica. I made my way down for breakfast early since my guide was picking me up at 8:30 am. Just as I sat down for breakfast, a rainbow joined me. As I ate my fruit and eggs, it greeted me with it’s bright colors and after-the-rain glow. It was like it was meant for me because as I stood up to leave it was gently fading away. We made our way to Roseau and I was pleasantly surprised to find a botanical garden in the heart of the city. 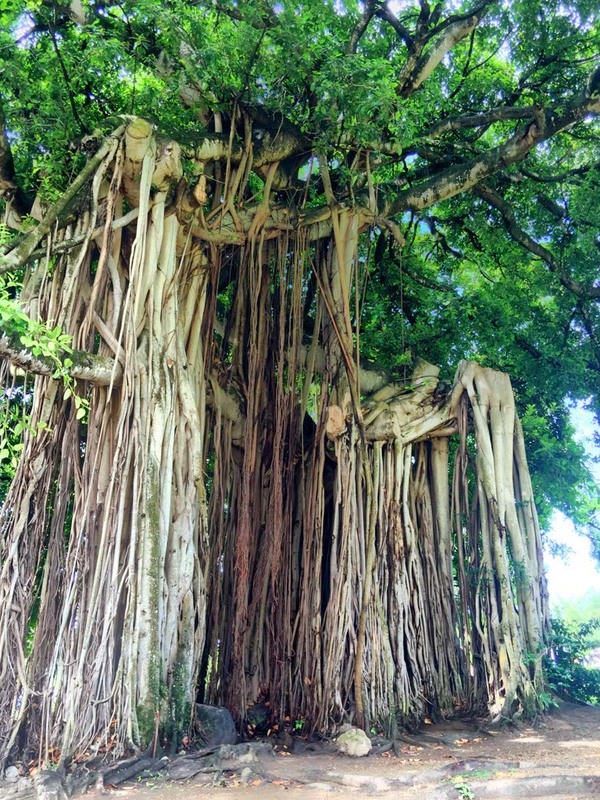 Even in the center of the city, Dominica still focuses on nature. A delicious lunch at Romantic Cafe helped with the refreshing process. 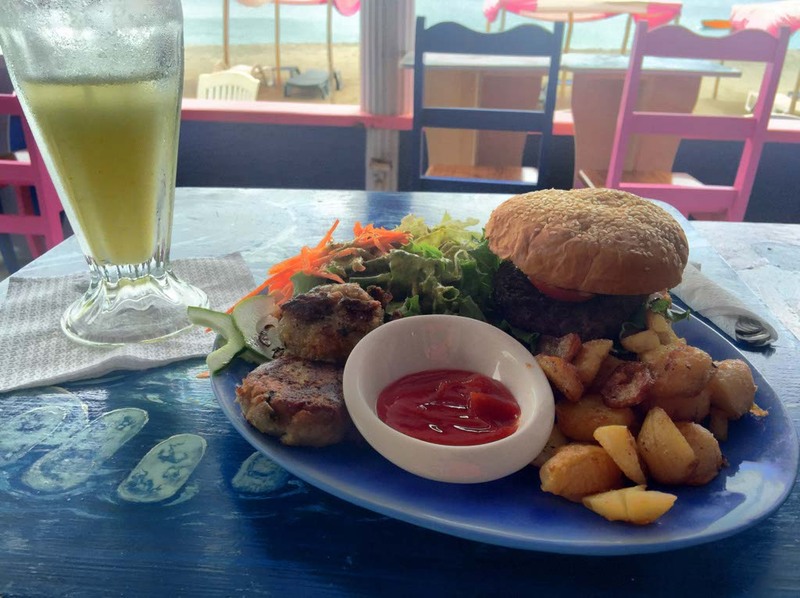 I chatted with the owner of the restaurant while dining directly on Mero Beach. She was one of the most friendly, down-to-earth people I ever met; she even gave me a bottle of local honey from her personal cupboard to take home and share with my family. Lunch felt more like eating at home with a friend rather than being in a foreign country. My final adventure of the day was flyboarding with Nature Island Adventure Tours. There are no words for how much I love it. I’m not great at maneuvering the board and I had a few falls, but it’s a huge thrill. I would love to spend more time getting better at it. I wonder if some day flyboards will be as common as surfboards in the water? Until then, I have to keep finding amazing places like Dominica to practice. I finished the day with as much enthusiasm as I started it. I can’t believe how much there is to experience in Dominica. I did more in the last two days than most full weeks in other countries and there is still so much more to come. I’ve been sharing photos regularly on Facebook, Twitter & Instagram. Follow along there, or watch for the hashtag #LovinDominica, if you want to see more of my Dominica journey. 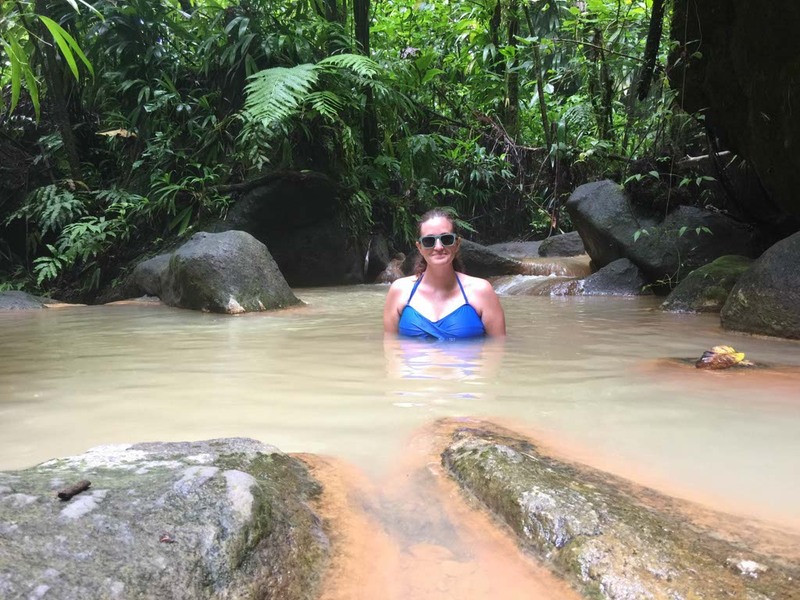 This entry was posted in Caribbean, Dominica, Travel and tagged Dominica, flyboarding, Hiking, Mero Beach, Titou Gorge, Trafalgar Falls by lesleycarter. Bookmark the permalink. Awesome and beautiful are not adequate words, but WOW, you do get to see some wonderful views. I bet the people you meet are delightful. Amazing pictures! It looks like you’re having so much fun there! Also, kudos for doing all of that in one day! When I was in Thailand, I saw people flyboarding, but didn’t end up trying it out. Did you enjoy it? It looks like fun! Those twin waterfalls are something else! I can’t believe you did all that in one day! That’s an itinerary for a whole week! Dominica is on my bucket list! Fantastic spot, Lesley. 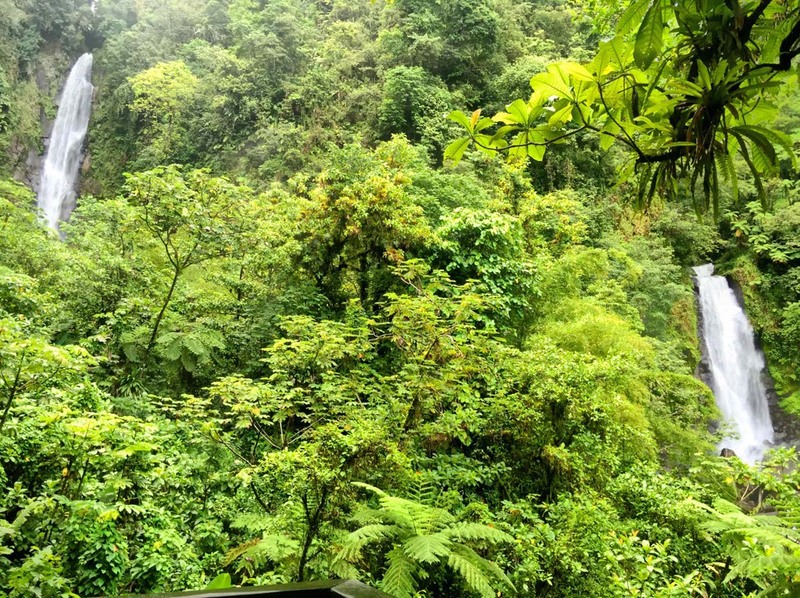 The lushness, waterfalls… all wonderful. Wow, it looks so beautiful and love the rainbow that came out just for you. Love the waterfalls also! Went there years ago and absolutely loved it despite having to repeatedly tell people it was not the Dominican Republic. Still looks wonderful..enjoy. My goodness woman. You need a nap in that schedule! 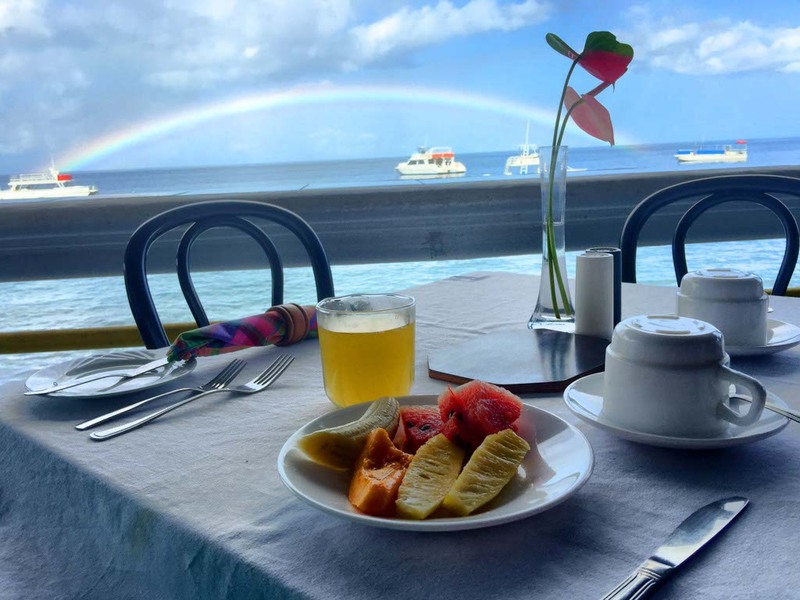 What a perfect start to the day – a rainbow at breakfast! I would love to visit the Trafalgar Falls. It looks amazing. Flyboarding is the best thing ever!! Next time you come out to Hawaii, you should try flyboarding with X-treme Parasail. Best way to get a view of all Waikiki and have an awesome time in the water! Flyboarding looks awesome! I’d love to make it to Dominica one day. Beautiful photos! I would love to try fly boarding one day! Oh wow I’ve never seen a place look so beautiful! Looks like paradise! What a great day you had! I’d love to try flyboarding, though I think I’d probably be screaming the whole time! Flyboarding? That awesome! I’ve never done it but it looks incredibly fun. What a great place! Thats all what you did in ONE day?! That’s amazing!! 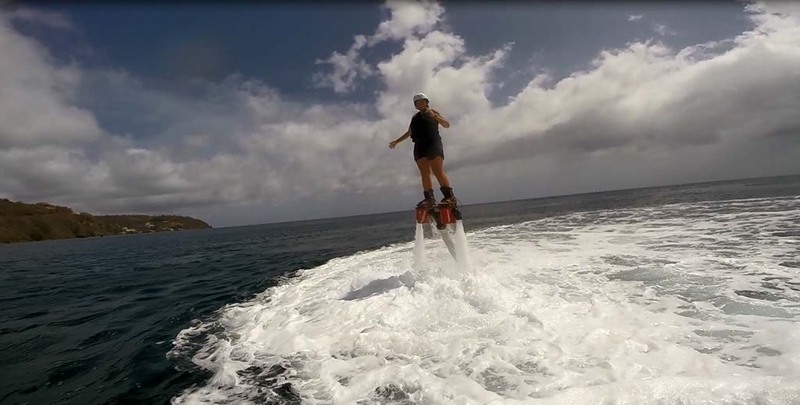 Dominica is officially on the list – I’ve always dreamed of trying fly boarding but haven’t yet had the chance to give it a go. I honestly didn’t even know where I would begin to look for an opportunity. Thanks!! Wowdza! IT TRULY IS! Two gorgeous waterfalls in the same pic? I need to go there! If only flights were cheaper from Spain.. Spent a few days in Roseau after taking the wildest (even a few locals lost their cookies) ferry ride from Point-a-Pitre, Guadeloupe. Dominica is beautiful and so different from department of France we just left. Another fun fact about the falls is that one is hot and the other cool (or is that legend?) and yes, very therapeutic. We also bought a hand made flute/recorder from a guy half way up the path which cracked immediately upon returning to the Great White North. Yes it is!!! We love Dominica. The people and the natural beauty. Great piece! What a beautiful place and pictures. I want to try flyboarding too. Hey Lesley, thanks for visiting our beautiful island. Had fun taking you around. Lots more things to do and see so come back soon!! Wow! Sounds like you’re enjoying life! If not for your post I would not have had any idea of how beautiful an area it is! lesley , i really appreciate your visit on Mero beach and you was just Fabulous in flyboarding ! i hope your daughter appreciate the honey of our little caribbean island . i discover most of your reportage , you have an amazing life . it was a great pleasure to meet you and continue to have fun and share with us your EXPERIENCES . Beautiful place! I enjoyed the black stone beach when I was there – thank you for bringing back good memories!